“According to sources inside the Texas Capitol, Gov. Greg Abbott is telling lawmakers he will refuse to sign property tax reform legislation that does not include the largest item on a taxpayer’s bill—school taxes. Now one lawmaker is coming forward and claiming the rumors are true,” reports the Texas Scorecard. That is very good news whether we are talking only about the property tax reforms expressed in HB 2 and SB 2, which give local voters real power over large property tax increases by putting in-place new tax ratification elections if tax increases in existing property are bigger than 2.5 percent in a given year, or we are talking about the proposed sales tax increase used to significantly buy-down, or replace from state funds, local school property taxes. As I have expressed repeatedly: The proposed property tax reforms in both House Bill 2 and Senate Bill 2 are very needed and worthy of support but, financially the reforms lose significance if school district taxes are not placed under a similar system that empowers local voters to slow what’s commonly known as appraisal creep. 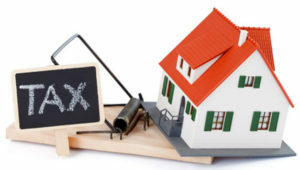 Property tax reform won’t do much for us if school taxes are not included. I’ve pointed out that if school taxes were bought-down about 20 percent with a sales tax increase, a conservative average annual appraised value increase of 3 percent would eat away all tax savings in less than 8 years. Many areas of the state have seen annual appraised value increases over 6 percent – at 6 percent, savings would be gone in less than 4 years.